What, exactly, are we celebrating on Human Rights Day this year? Are we celebrating the state-induced challenges faced by South Africa’s 10 million unemployed people in whose path barrier after barrier to employment is erected? Are we perhaps celebrating the looming amendment to section 25 of the Constitution which will remove the right to compensation inherent in the notion of private property, relegating all South Africans to the status of vassals of the state? Or are we celebrating the many hours we now have to spend in darkness and without power? We celebrate at the expense of our lived reality. 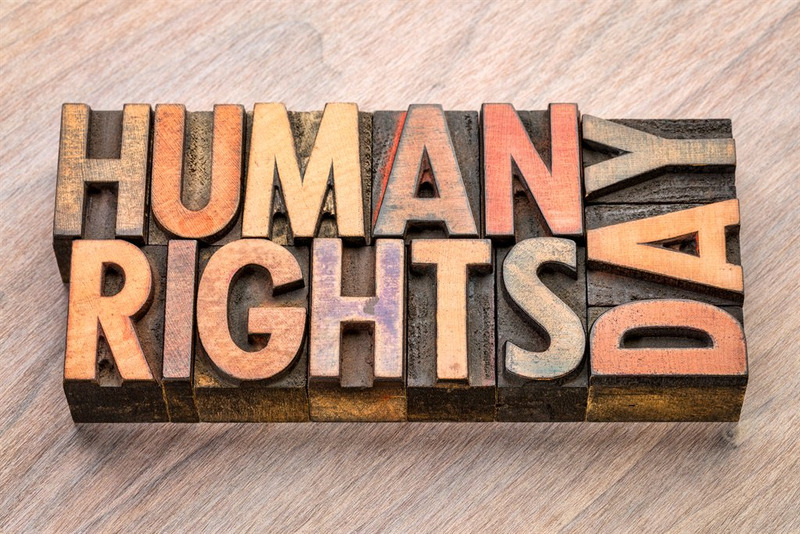 In 1993 with the interim Constitution and in 1996 with the current Constitution, South Africa received its first ever justiciable human rights instrument: The Bill of Rights. The Bill of Rights did not “give” South Africans any rights. It recognised pre-existing rights that we have by virtue of being human and set out protections for those rights. Expropriation without compensation, with the accompanying amendment to section 25 of the Constitution, will be the first time the government is interfering with these protections contained in the Bill of Rights – a move that will undo the progress we have made in South Africa since 1994. All black South Africans were denied their individual property rights under the apartheid regime. The Constitution put a stop to this by protecting the property rights of all and requiring government to make good the loss if it expropriates property. Without individual property rights all the other rights we cherish, such as the right to life and liberty, freedom of expression and speech, and the right to work and own what we produce, fall by the wayside. The right to own and use one’s property without threat of interference entails that they can attempt to establish some sort of business and create wealth for themselves. Do away with this right, and one tramples on all other human rights, along with those who gave their blood, sweat, tears, and lives, to realise the actualisation of these rights for all South Africans. It also came to light in 2018 that government intends to remove, from the Firearms Control Act, the ability to acquire a firearm licence for self-defence. But the right to bear arms, to defend oneself, one’s family and property, constitutes a central pillar of any robust notion of human rights. Without this right, one is necessarily dependent on an outside party – in this case, the incompetent South African Police Service – to assume responsibility for defending their life and possessions from theft. And then there is the new national minimum wage, which infringes upon the ability of the unemployed to emancipate themselves from poverty by taking low-paying jobs. It prices them out of the market, especially if they have no education or experience. Legislation of this nature has made labour too expensive. Should the jobless find work, their continued employment is made precarious because the national minimum wage effectively prohibits employers from adapting to changing economic circumstances. The national minimum wage artificially inflates the price at which employers and potential employees could agree to terms in a contract. This means that businesses (especially small businesses) are wary of employing people. Mechanisation and automation may well be the most rational option for them, despite desiring to grow their business and employ people. One of the apparent goals of the national minimum wage is to protect workers from exploitation, but its effect will be that more people join the ranks of the 10 million already unemployed. What about our rights as consumers to freedom of choice? There are taxes on tobacco, sugar, and other “sinful” products. New legislation effectively gives government the right to ban smoking outright across South Africa. Thousands stand to lose their jobs because of new sugar taxes. Sin taxes are a prime example of unjustified powers the state has assumed for itself. It is no one’s place, especially not the state’s, to dictate to us what we may or may not consume, regardless of good intentions. This is a fundamental human right, one which should be respected and protected by moral government. Does the notion of a “human right” only apply to those things that are popular? Surely not. For this notion to have any substantive content, individuals should be free to do things that are not popular or seen as “good” to others. Otherwise one group will always try to take political power to pursue their own ends at the expense of others. If one’s actions do not harm others, they should be free to live their life as they see fit. This could mean consuming copious amounts of sugar, owning firearms, and working for less than R3500 a month. With freedom comes individual responsibility. It is not the role of the state to dictate to us how we ought to live; with whom we ought to live or trade, which careers we ought to pursue, where we ought to live, and how much wealth we can accumulate. These things are our responsibility exclusively. Without both freedom and responsibility, talk of human rights is superficial. A coherent theory of human rights places ordinary people at the centre of attention in society. This is not what is happening in South Africa today. Today, it is government and politicians who fight for possession of the pedestal and are unashamed about how they infringe upon our rights. The goal of any state interference in people’s lives is always dressed up in moralising language, but the ends do not justify the means. • Hattingh has an M.Phil. from Stellenbosch University and Van Staden is pursuing an LL.M. at the University of Pretoria. They are researchers at the Free Market Foundation. Comments on Is there anything to celebrate this Human Rights Day?